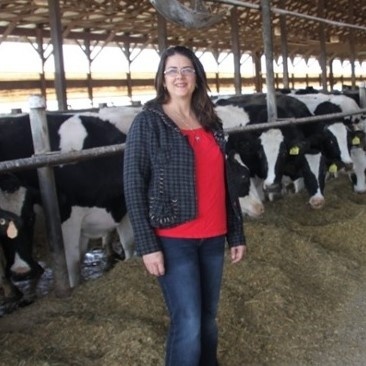 The head of DMI's board explains the checkoff's commitment to grow dairy exports, how it benefits farmer-funders and what's happening to increase ROI. 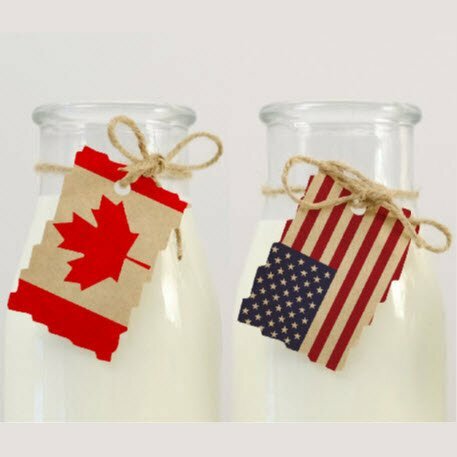 As Congress prepares to review a new trade agreement replacing NAFTA, the U.S. dairy industry remains wary that a Canadian protectionist pricing policy could return under another name. 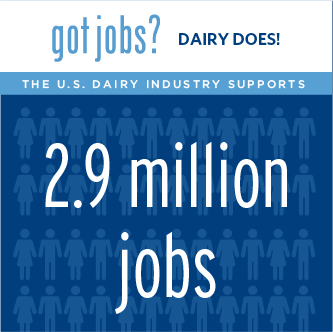 Dairy's coast-to-coast economic ripple effect generates jobs in other industries and tax revenue in every state. With milk prices low, this has been a challenging year for dairy farmers. But these four see better days ahead with the continued support of USDEC's strategy to grow exports. 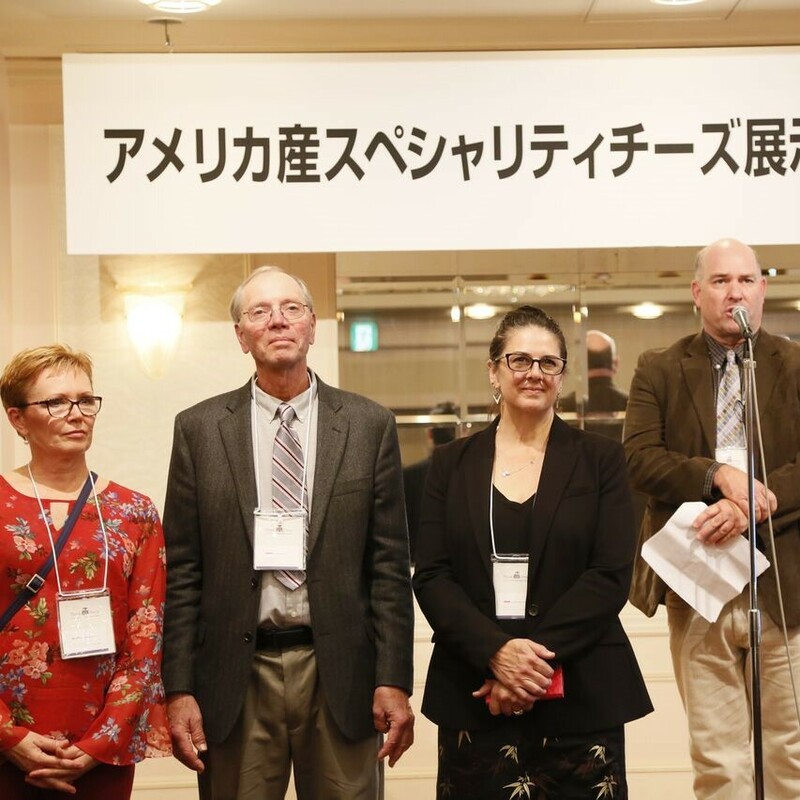 Four farmers on a week-long trip to Japan and Hong Kong will be ambassadors of U.S. dairy's commitment to consistently supply high-quality exports to Asia. The world needs U.S. dairy and we need the world to export more of our abundant milk, award-winning products and high-quality ingredients. 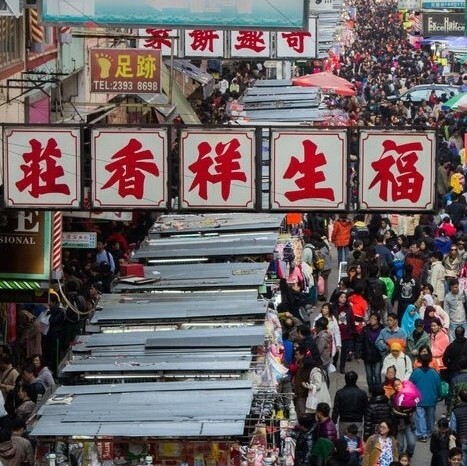 A country with 1.4 billion mouths to feed is on a trajectory to become the world's No. 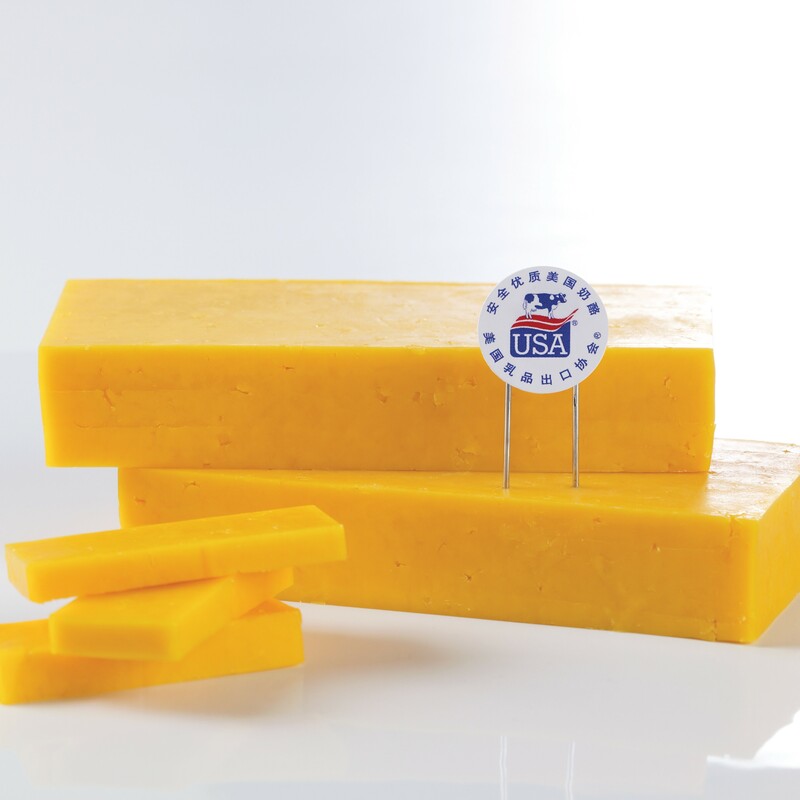 1 cheese importer, presenting a huge opportunity for U.S. dairy exporters. 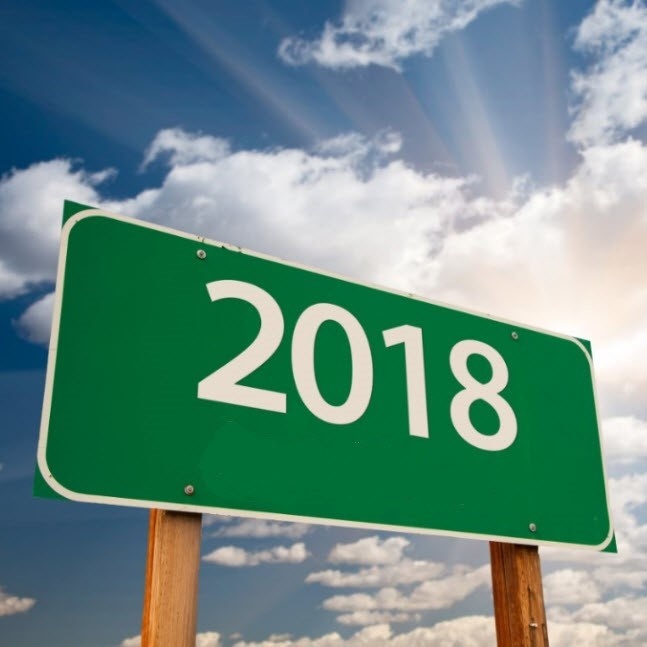 U.S. exports were a record 16.8 percent of milk solids for the first half of 2018. 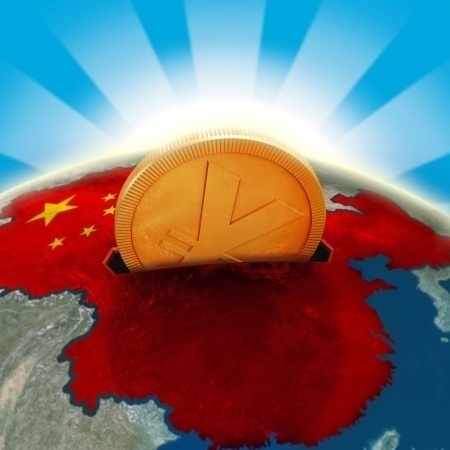 But the industry has "deep concerns" about the impact of tariffs moving forward. 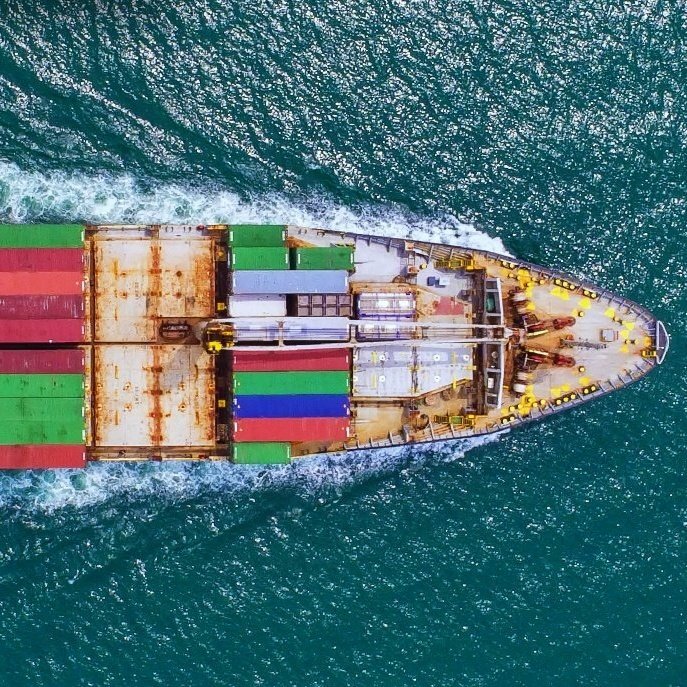 Retaliatory tariffs give global competitors hard-to-reverse advantages in the world's largest market. USDEC President and CEO Tom Vilsack says new tariffs will remove a competitive U.S. advantage in Mexico while making it harder to sell dairy products to fast-growing China. 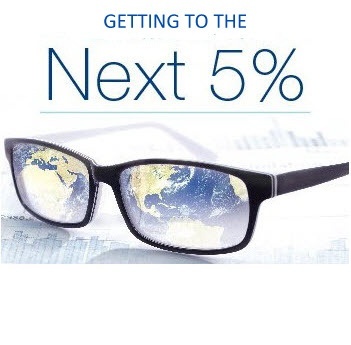 What Dairy Farmers Need to Know About Increasing Exports to "The Next 5%"
Times are tough for many U.S. dairy farmers. 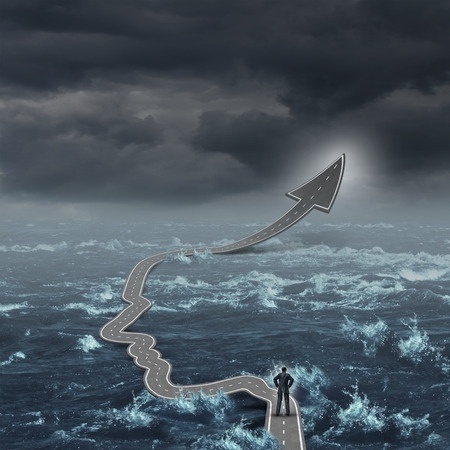 USDEC's ambitious plan to increase exports provides farmers a dose of realistic optimism for the future. 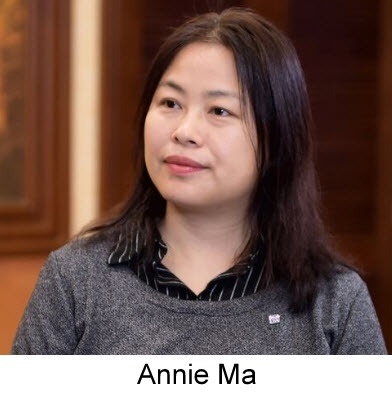 Business development specialist Annie Ma is the latest of what will be nine additional on-the-ground professionals opening doors for USDEC members in key export markets. 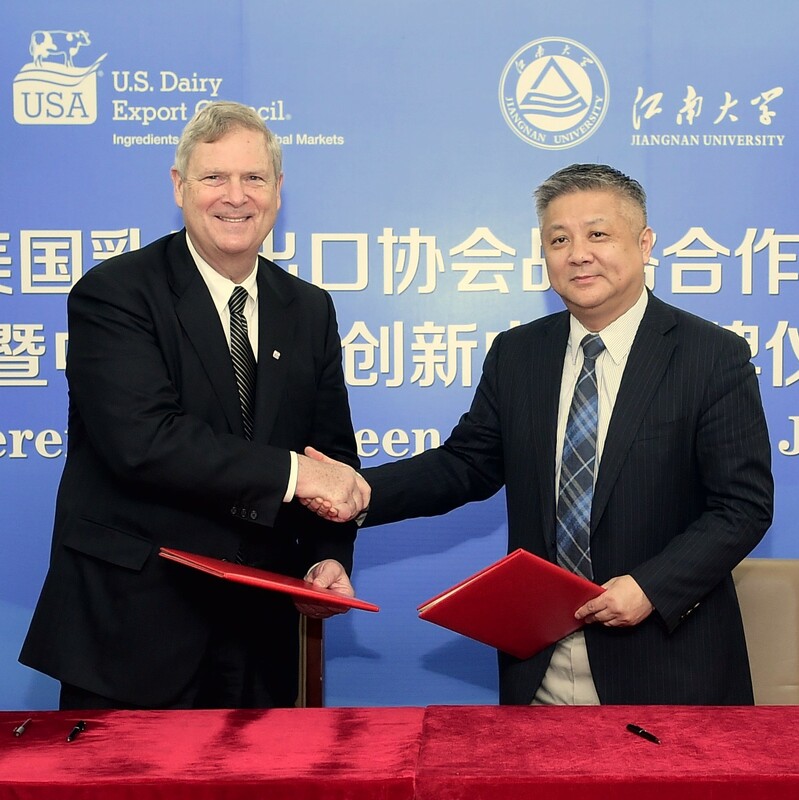 The mutually beneficial agreement aims to increase U.S. dairy exports to China while providing more safe, secure and sustainable choices for Chinese consumers. With Chinese demand for imported milk and other dairy products increasing, the potential for U.S. exports is at an all-time high. 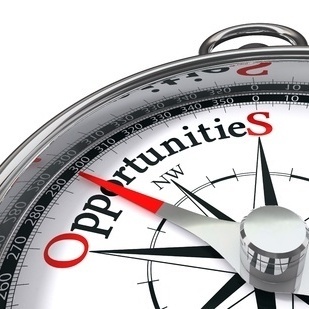 A look at the key variables that will impact dairy trade this year. 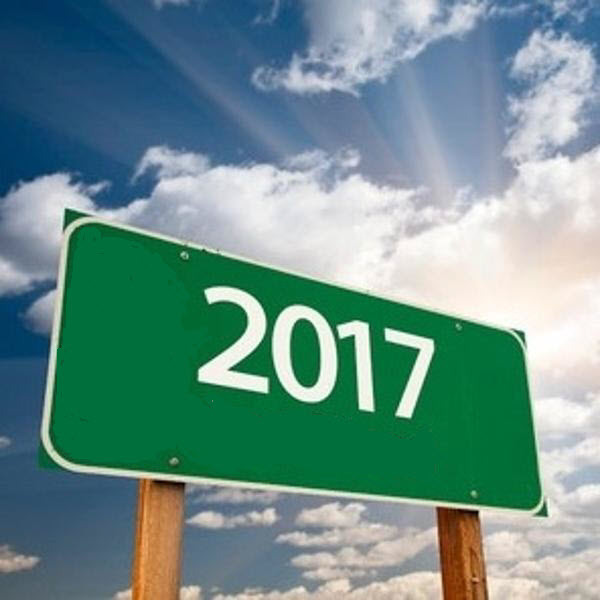 USDEC offers a preview of the new year, identifying the factors that will shape U.S. dairy export opportunity. 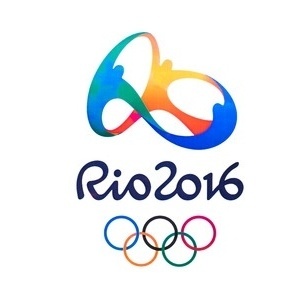 Olympic athletes are applying research showing that milk aids exercise recovery and lean body mass. The "Built With Chocolate Milk" and "Milk Life" campaigns amplify those stories. 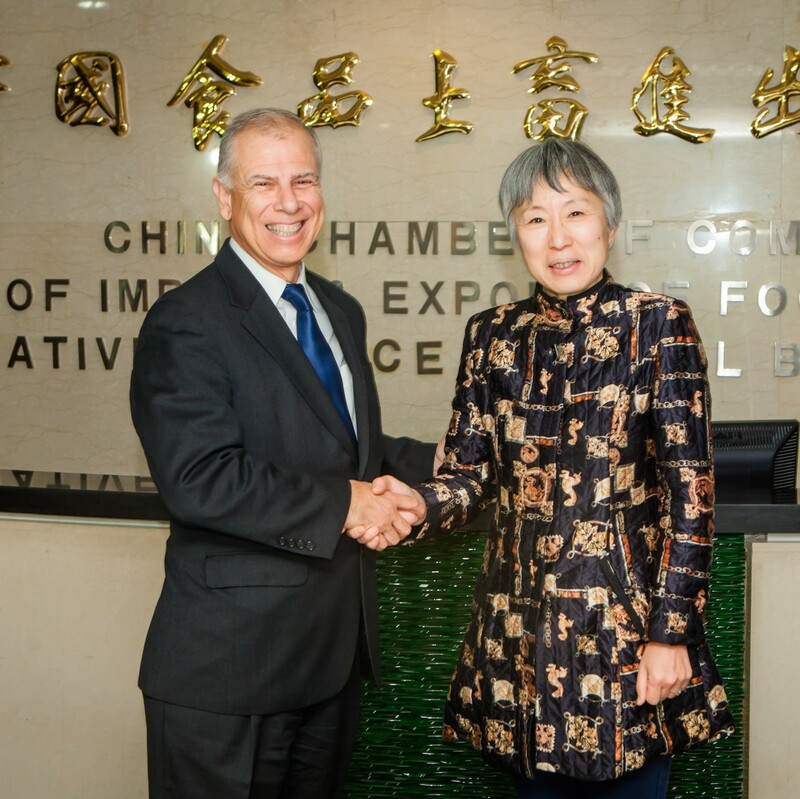 Despite a slowdown of U.S. dairy exports to China, there are four significant reasons for optimism, the former ambassador told USDEC members attending the April board meeting. USDEC's international representatives provide on-the-ground “eyes and ears” for the U.S. dairy industry. In eight concise videos, they identify the low hanging fruit. 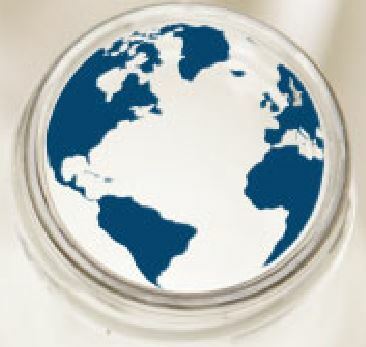 USDEC’s Global Outlook Webinar suggests a return to a sellers’ market might still be a long ways off. © 2017 U.S. Dairy Export Council. All rights reserved.